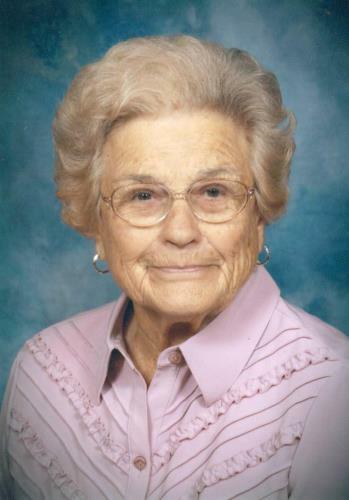 Beulah Mae Sneed, 93, of Hixson, passed away on Friday, February 8, 2019. She was a member of Middle Valley Baptist Church for over 50 years. Beulah loved the outdoors and enjoyed working in her yard and garden. She was well known as a chicken farmer. Beulah was preceded in death by her husband, Grady Sneed; parents, Robert and Ida Watson and 11 siblings. Survivors are her her sons, Tommy Sneed (Cindy) and Don Sneed (Sharon); daughter, Pam McNabb (Sam); brothers, Albert Watson (Dolly) and Dave Watson; six grandchildren, 15 great-grandchildren, and several nieces and nephews. Visitation is on Monday, Feb. 11, from 4-7 p.m. at the funeral home. Services will be on Tuesday at 2 p.m. in the funeral home chapel with Sammy McNabb, Tom Sneed and Reverend Mickey Bane officiating. Burial will follow at Hamilton Memorial Gardens with Reverend Britt Watson presiding. Arrangements are by Williamson and Sons Funeral Home, 8852 Dayton Pike, Soddy Daisy, Tn. 37379.